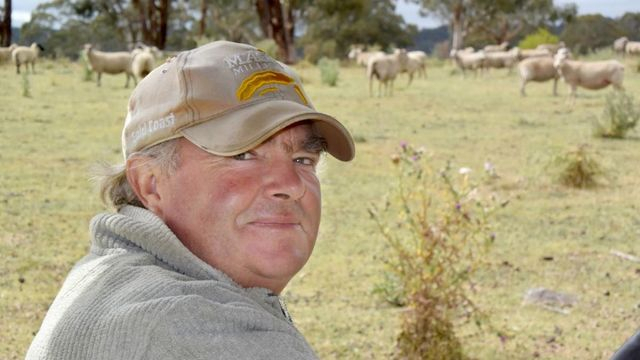 Large, lean, terminal Charollais rams have caught the eye of Dubbo sheep meat magnate Roger Fletcher, whose burgeoning export business demands a bigger carcass. 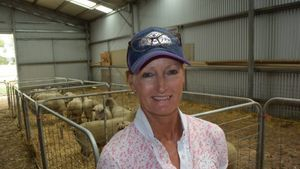 Glencoe breeders Kevin and Gina Feakins, Camlea Station, brought their interest in Continental Charollais sheep with them when they emigrated from Hereford, England, following a disastrous experience with foot and mouth disease. Over there it was the push by major UK supermarkets for lean meat that drove change in many farming systems. 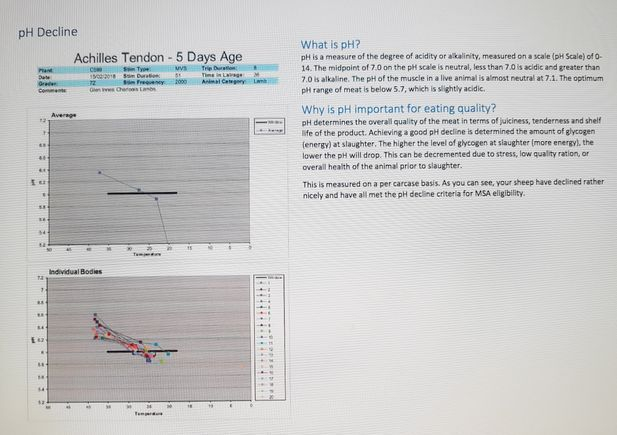 “With a British prime lamb over 45 kilograms there is excessive blubbery fat,” says Mr Feakins. Fertility is excellent and lambing easy, says Mr Feakins, with ewes scanning at 180 percent and producing 160 percent with a high number of triplets. As the breed has a clean breech there is no call for mule sing although Mr Feakins crutches his ewes prior to lambing, which is straight-forward, with small lively progeny that quickly put on weight. 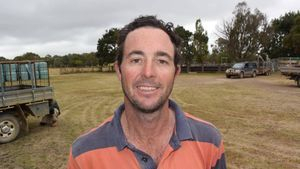 Lean, meaty prime lamb is a product whose time has come, according to the biggest name in sheep meat – Roger Fletcher. 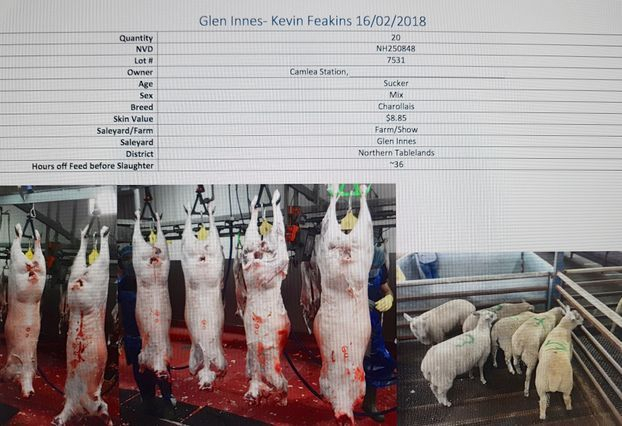 Fletcher’s recent purchase of Camlea progeny entered into the Glen Innes Show prime lamb competition with an average live weight of 49.75 kilograms dressed at an average of 55 per cent. 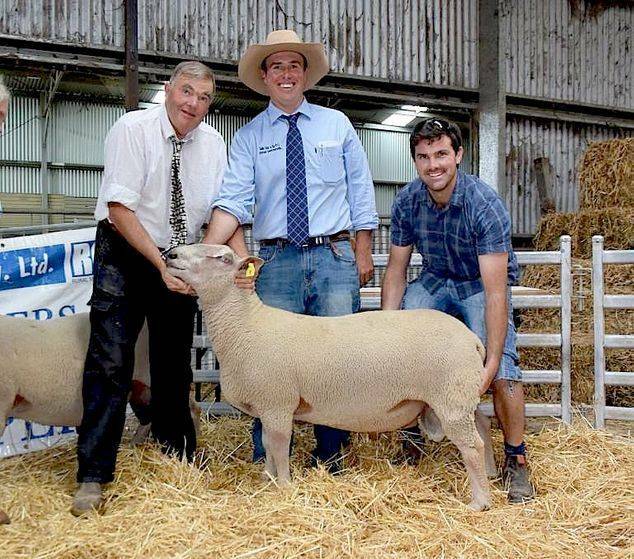 Camlea stud principal Kevin Feakins pictured left, Glencoe, with the top selling ram of the sale bought by Daniel Hooper pictured right, "Vortex" Banalla, Victoria, with auctioneer Shad Bailey, centre, with Colin Say and Company Glen Innes. 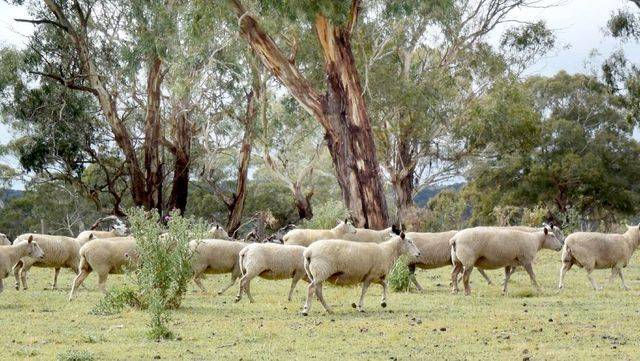 Growing interest in Charolais rams for meatier prime lamb production was evident at the annual Camlea stud ram sale at Glencoe on Friday with a top price of $3200. The 50 yearling rams on offer sold to a full clearance, averaging $1117. Fletcher International Exports purchased 10 rams for its Condoblin enterprise, topping at $1650 for lot 32, 98kg. The company later loaded 60 Charolais lambs from Camlea to take to Condoblin for a feedlot trial. 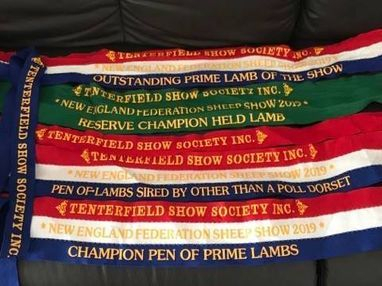 At the recent Glen Innes show company founder Roger Fletcher praised Camlea Charolais and its crosses in his role as prime lamb judge. 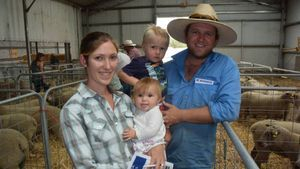 Family affair Penelope, Chelsea, Charlie and Ben Turner, Kings Plain, bought lot 47, 84kg, for $750 and will put him to first cross ewes for easy lambing on their smaller Merinos. 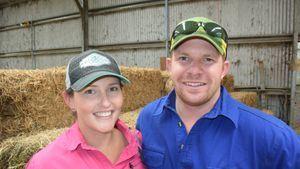 Sarah Hunt and Travis Crouch, “Neverleven”, Mudgee travelled to the Camlea sale at Glencoe to build their flock of Charolais which is already proving fertile. “The breed has meat in the right cuts,” said Mr Crouch. Unfortunately they were outbid by more serious players on the day. Repeat buyer Jan Simmons, Bundarra, purchased lot 45, 82kg, for $800 and will put him over Samm ewes to create an even meatier prime lamb. Austin Finlayison from Fletcher International Exports purchased 10 rams for its Condoblin enterprise, topping at $1650 for lot 32, 98kg. The company later loaded 60 Charolais lambs from Camlea to take to Condoblin for a feedlot trial. 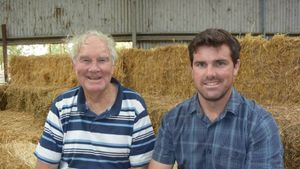 At the recent Glen Innes show company founder Roger Fletcher praised Camlea Charolais and its crosses in his role as prime lamb judge. 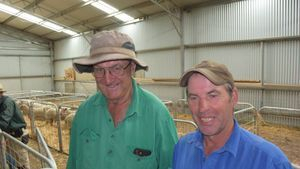 Repeat buyers Warren and Graham Lockyer, Ben Lomand, bought five rams, including lot 25, 94kg for $1400 and will put them to Border Leicester/ Merino first cross maiden ewes for ease of lambing. 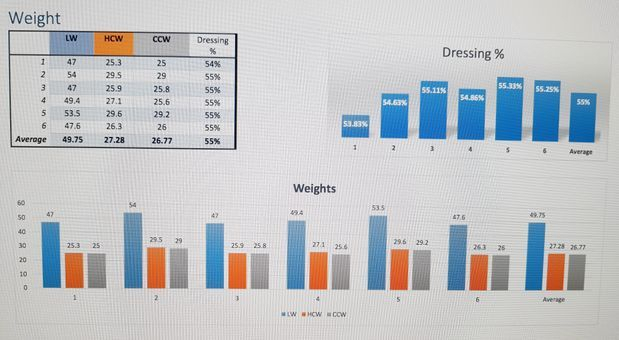 But they will keep the daughters and build their Charolais content with prime lamb going direct to Woolworths through Thomas Foods International at Tamworth. 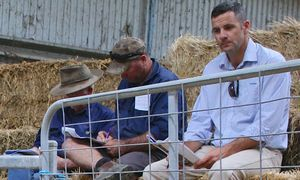 “Our lambs dress out at 24kg, at the top of the grid,” Graham said.